Victor Rodriguez is excited to have made his comeback for Seattle Sounders during the MLS playoffs. The 28-year-old attacker missed the final match of the regular season as well as the semi-final in Vancouver last weekend with a right lateral quad strain. 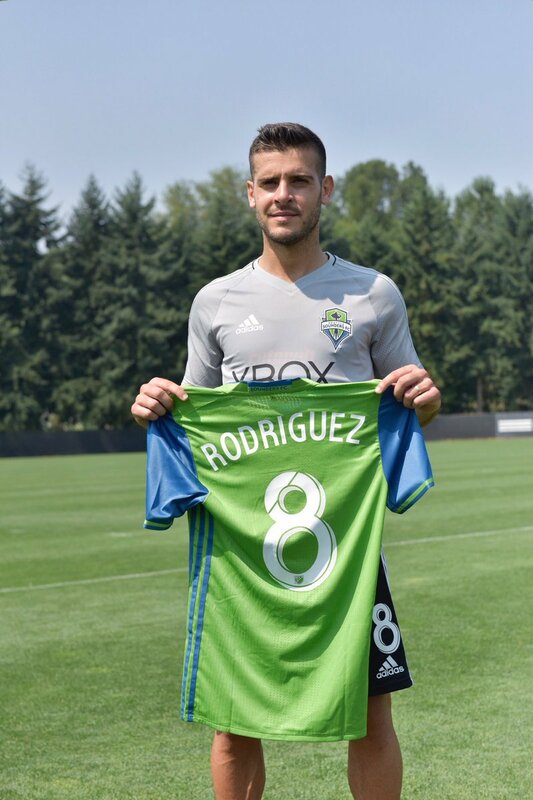 Meanwhile, Sounders talisman Clint Dempsey also welcomed the return of Rodriguez, who he believes adds more to the club in terms of his vision and one-on-one against opponents, he said: “He can run at players. He can beat players one-on-one and create a mismatch. He has good vision to find people making runs. When he comes on, he brings a spark for us. When he’s healthy and on the field and we have a full team, we’re a fun team to watch. Sounders manager initially instructed Rodríguez to keep possession with the team 1-0 ahead on the night, but the side eventually pushed on to deliver the death knell prior to the final whistle. As a result of the 2-0 victory, Sounders have reached the Western Conference finals for the second year on the trot, where they could face one of Portland Timbers or Houston Dynamo. Brian Schmetzer’s side are also the holders of MLS Cup, and they could potentially face a repeat with last season’s finalists Toronto FC, should things go the right way for both clubs.